The Estates of the Realm – clergy, nobility, commoners – had been recognized in Europe since the Middle Ages, and those estates controlled the information people received through official bulletins. Gutenberg's mid-15th century invention would change that. As printing gradually became commonplace, so did independent gazettes. Then, as newspapers flourished in the 17th century, the concept of a Fourth Estate began to emerge to describe the responsibility an independent press has to keep the other estates in check. The centrality of this idea had become well-established by the time of the American colonies, and the framers of the Constitution considered it essential. Our own three branches of government – executive, legislative, judicial – are intended to be balanced by a fourth codified in the First Amendment of the Bill of Rights: "Congress shall make no law...abridging the freedom of speech, or of the press...."
In the United States, the Fourth Estate historically has meant news media, especially print journalism. That is not to say that journalism has always been regarded with trust and respect. That gadfly of American letters H. L. Mencken once remarked, "American journalism (like the journalism of any other country) is predominantly paltry and worthless. Its pretensions are enormous, but its achievements are insignificant." Nevertheless, in the main our reliance on our most trusted journalistic institutions (e.g., the New York Times, the Washington Post, the International Herald Tribune, among others) remained secure until the turn of the 21st century, when the sullying effects of Rupert Murdoch and his ilk, the encroachment of cable news, the unfettered nature of the Internet, and the demise of print journalism were beginning to have a devastating effect on even the most respected news sources in the United States. We now have what some call the Fifth Estate, associated with bloggers and other unconventional media that operate outside – sometimes in opposition to – the mainstream. Three kinds of films explore the Fourth Estate: stories of the brave reporter who unearths the truth; tales of exploitative charlatans; and documentaries by and about journalists. 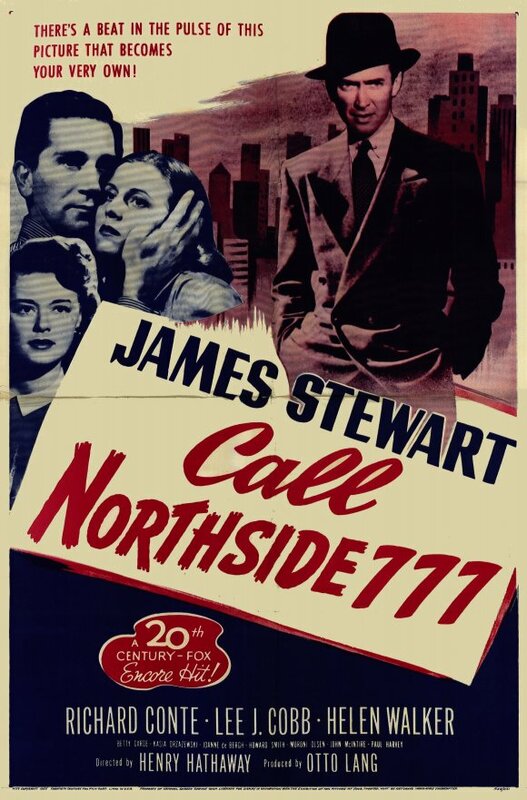 Among the earliest of the first category, films in praise of journalists as skeptical heroes, is Henry Hathaway's 1948 Call Northside 777 based on Chicago reporter James McGuire whose 1944 news stories exonerated Joseph Majczek and Theodore Marcinkiewicz of the 1933 murder of a Chicago police officer. James Bridges' 1979 The China Syndrome was not based on a true story but proved prescient with Three Mile Island's nuclear meltdown 12 days after the film's release. Alan J. Paluka's 1976 All the President's Men was based on Bob Woodward and Carl Bernstein's investigative reporting on Watergate for the Washington Post. As Ben Bradlee, the late, great executive editor for that paper, observed, "No matter how many spin doctors were provided by no matter how many sides of how many arguments, from Watergate on, I started looking for the truth after hearing the official version of a truth." Then there are the films that paint reporters as cynics who exploit the public's insatiable appetite for scandal, carnage, gore, and scapegoating. Orson Welles's 1941 Citizen Kane, the granddaddy of news-centered films, is based on William Randolph Hearst and the political machinations of his infamous yellow journalism empire. 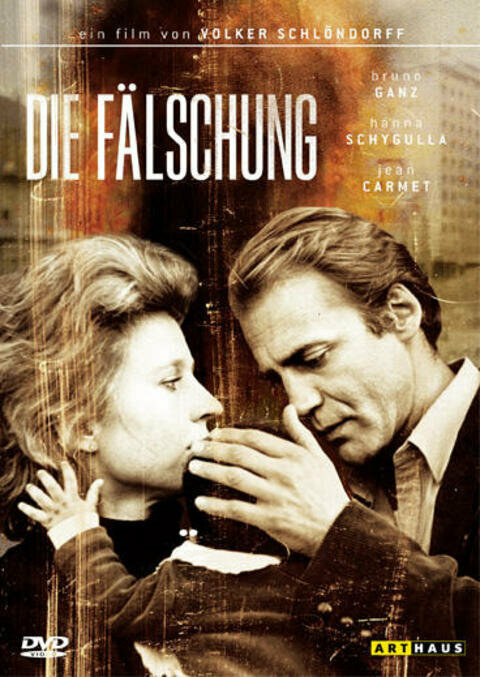 Haskell Wexler's 1969 Medium Cool explores the schadenfreude of the evening news, and Volker Schlöndorff's 1981 Circle of Deceit (Die Fälschung) looks at war's numbing effect on individual conscience. Sidney Lument's 1976 Network morphs an evening news anchor into the entertainment division's sideshow. Howard Beale doesn't grasp it, but studio execs understand that populist anxiety – as economic stability is beginning to erode and civil rights becomes the law of the land – hungers for a villain on which to pin its amorphous blame. Beale's vague rants directed at ill-defined scapegoats fit the bill and presage the 24-hour news cycle that will be Fox and MSNBC, et al. (When the network proposes a 24-hour news program to Ron Burgundy in Anchorman 2: The Legend Continues, he says, "That is without a doubt the dumbest thing I've ever heard of," but of course, the laugh derives from the fact that we've known for years what Burgundy as yet does not.) Be it local networks or national news corporations, high ratings are the reward for pandering to small-mindedness, blood lust, and the lowest common denominator. Michael Cuesta's Kill the Messenger belongs in the first camp of journalist as hero, and like All the President’s Men, is based on actual events. The messenger is Gary Webb, energetically portrayed by Jeremy Renner, whose reporting for the San Jose Mercury News exposed the link between the CIA, Nicaraguan contras, and the mid-'90s crack cocaine epidemic that spread through LA's black neighborhoods. Public apathy toward serious issues and appetite for the sensational inform the "give 'em what they want" reporting that functions as the fourth cardinal point of the he-says / she-says / detective-says tetrad of David Fincher's Gone Girl, based on Gillian Flynn's novel. Consciously aware that Gone Girl is a fiction, a part of me nevertheless was occupied wondering what serious news stories were being ignored while the media circus whipped up John and Jane Q. Public. 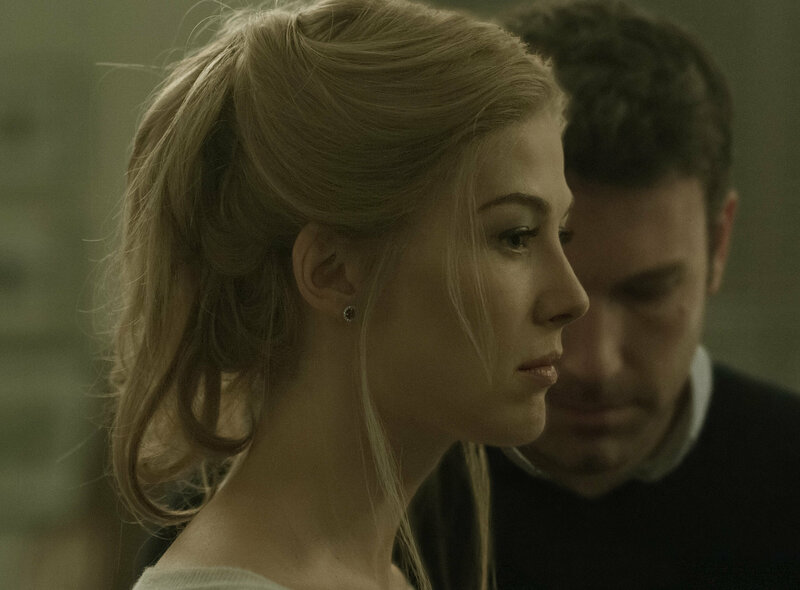 Gone Girl is very much in the vein of such classics as Billy Wilder's 1951 Ace in the Hole, Elia Kazan's 1957 A Face in the Crowd, and Lumet's Network, but the frenzied "news" programming that functions as the foreground of those films is moved to the background in Gone Girl, while the foreground seethes in eerie calm. As the story unspools, a Fox-like network improvises sensational speculation, which the public eagerly gloms up. Another comparison that comes to mind is Gus Van Sant's 1995 To Die For in which the weather girl who dreams of becoming a famous news anchor manages to get away with murder through a string of manipulations. Nightcrawler, Dan Gilroy's directorial debut, steals into the lurid world of local TV news casting ever on the prowl for the most prurient stories to feed our basest instincts. Jake Gyllenhaal's unblinking, figuratively and literally, Lou Bloom is not your usual drifter. He's jobless, but he is seriously looking for work. In the meantime he is not going to allow unemployment to stand in the way of his industriousness as he misappropriates metal – chain-link fence, copper wire, manhole covers – to sell for scrap. There's an unlikely side to this walking ghost of a man: he has internalized pretty much every motivational and self-improvement platitude ever cooked up by evangelical management gurus. Bloom may not be a scholar, but he has access to the Internet and has trolled it for every shred of positive thinking and tips for success he can, which he has structured into his own private – and beyond reproach – theory of everything. In an interview with Audie Cornish on NPR, Gyllenhaal explained that he prepared for the part as though preparing for a stage role, memorizing the script in its entirety before production began. The result is a droning staccato – at once vacant and solidly self-assured – of vapid expressions and threadbare bromides. "On paper it doesn't look so bad, 'but out in the world – taking a few morals out of the equation – it can be pretty dangerous,' Gyllenhaal says." The third cinematic explorations of the Fourth Estate are journalistic documentaries and documentaries about journalists, but first, a look at a couple of anomalies. Patrick Sheane Duncan's 1989 84 Charlie MoPic is not a documentary but shot in documentary style and deserves mention here for creating a powerful fictional amalgam of the actual reporting from the front lines that made the Vietnam War tangible and immediate for the home front. Presented from the camera's point of view, 84 C MoPic follows a Long Range Reconnaissance Patrol (LRRP) through the jungles of Vietnam. Not only did a draft army do the fighting in the Vietnam War, which meant that war was personal to almost every citizen of the United States, but war correspondents brought the realities of combat into our living rooms every evening from 6:30-7:00. Less than a decade later that would cease to be the case. Television news no longer bears witness to war. Instead, to suss out the truth of political, economic, technological, ecological, medical, and agricultural conditions one must rely on reputable print and online news sources, hear out whistle blowers, and seek out documentaries, of which we are fortunate to have many brave examples. Like 84 C MoPic, Jon Stewart's Rosewater is not a documentary, yet both are about real-life journalists if in different respects. Stewart calls Rosewater a fictional adaptation. The screenplay is based on Iranian-born journalist Maziar Bahari's 2011 memoir Then They Came for Me, written with Aimee Molloy, which recounts his arrest while in Iran on assignment for Newsweek, covering the 2009 elections and the days of political upheaval that followed. The Mexican actor Gael García Bernal plays Bahari in his on-the-ground reporting and in flashbacks that establish his family dynamic juxtaposed with his 118-day nightmare of imprisonment. Bahari's torturer Javadi, superbly portrayed by Kim Bodnia, emerges not as a monster but a cog in a corrupt bureaucracy that is rotting his soul. He douses himself with the rosewater of the title in a futile attempt to mask the fetor. Stewart structures the film contrapuntally on several levels, oscillating between Bahari's solitary confinement and Javadi's grillings; between the antagonists in the interrogation room, Bahari's interplay with his interrogator measured to endure not only the brutality but the irrationality; between the ruthless reality of captivity and the scenes of the parallel universe Bahari has said he created in his psyche to endure – a cadenced rhythm of imagined conversations with his sister, his wife, his dead father – conjured with the songs of Leonard Cohen as the internal soundtrack for his memories. "All of a sudden this universe was created, this universe that was guarded by Mr. Leonard Cohen, and it was just ridiculous to me that this old Jewish Canadian, and one of the most cynical poet songwriters in the world, managed to save me in the heart of the Islamic Republic." In one of his essays, the Nigerian writer Chinua Achebe notes that "The foreign correspondent is frequently the only means of getting an important story told, or of drawing the world's attention to disasters in the making or being covered up. Such an important role is risky in more ways than one. It can expose the correspondent to actual physical danger; but there is also the moral danger of indulging in sensationalism and dehumanizing the sufferer." It is a tragic fact that kidnapping, torture, and possible death have become commonplace risks for today's journalists. Rosewater was released as ISIS stepped up its barbaric slaughter of journalists: British journalist John Cantlie and American journalists James Foley and Steven Sotloff, as well as British aid workers David Haines and Alan Henning – gruesome events that received significant media attention. Little has been made of the risks to Iraqi journalists, however. As of October, The Guardian reported, at least 17 Iraqi journalists have been killed and many more kidnapped, according to the French organization Journalists without Borders (RSF), among them Raad Mohamed al-Azaoui, cameraman and photographer for Sama Salah Aldeen TV, and Mohanad al-Aqidi, the Mosel correspondent for Sada news agency. Just days ago, al-Qaida terrorists killed American journalist Luke Sommers, along with a South African teacher Pierre Korkie, during a failed U.S. rescue attempt. Stewart has created something larger than a biopic in Rosewater. He has a direct connection to the story: That Bahari appeared in one of The Daily Show's fake interviews and went along with the joke that he was a spy will be among the ludicrous charges against him. So on a personal level, Rosewater is rather like an atonement for that misconstrued moment. In the larger view, Rosewater is Stewart's homage to journalists everywhere, for the sacrifices they make in their crucial role as the Fourth Estate, especially those who risk life and limb to bring us first hand reports from the deadliest corners of the earth. Film critic Godfrey Cheshire, who first met Bahari in 1997, shared a trenchant insight into Rosewater in his review for rogerebert.com: "The concept of spy talk being offered up for laughs...[is] entirely outside the frame of reference of a pious torturer whose life is dedicated to the defense of Iran's theocracy and its Supreme Leader, Ali Khamenei. In one sense, the two mindsets we see colliding in that interrogation room – one medieval, one modern – form the crux not only of Rosewater's drama, but also of Iran's ongoing struggle over its identity and place in the world." Leonard Cohen's "Dance Me to the End of Time"
Bahari conjures memory and music. The Fourth Estate flourishes in contemporary documentary film making. Citizenfour is Laura Poitras's chronicle of Edward Snowden's efforts to expose the inexorable expansion of the United States government's intelligence apparatus designed to gather every bit of data generated by each and every one of its citizens. The title derives from the nom de guerre Snowden gives himself in order to initially make contact with Poitras. Snowden does not designate himself a citizen without reason nor is the choice of the number four arbitrary. The pseudonym also echoes Welles's Citizen Kane. The greater part of Citizenfour takes place during a succession of eight days in an hotel room on an upper floor of a Hong Kong skyscraper. Unlike the almost monomaniacal Julian Assange, Snowden is uniformly self-effacing and aware of his limitations. Familiar with Poitras's work, Snowden has enlisted her help both as filmmaker and liaison to enlist the aid of Glenn Greenwald and Ewen MacAskill of The Guardian. From the start, Snowden wants to make clear to his co-conspirators that he knows the media's tendency to eschew substance for personality. He does not want his actions to become a story about Edward Snowden. He has told no one – his companion, family, friends, colleagues at the NSA or Booz Allen Hamilton. No one knows what he has done or his intentions because he wants them to suffer as little damage as possible. He explains to Poitras, Greenwald, and MacAskill the levels of encryption they must employ, not simply to protect the information he will leak, but to protect themselves. If anything is going to happen to anyone, he insists, it will happen to him. He repeatedly explains that he is not qualified to decide what information should be released and what withheld, which is why he has engaged respected investigative journalists who can be trusted to make those difficult decisions. One of the strengths of Jon Stewart's Rosewater is that it never plays as a thriller; one of the strengths of Citizenfour is that it does. It is a chilling indictment, not only of our government's subversion of our laws but of the degree to which we as citizens have sat blithely by and let it happen. People may feel that constant surveillance helps us make informed consumer decisions, gives us directions to where we want to go, provides us with something before we even know we want it. But as Greenwald argues, the insidious result is that people who are being watched self-censor. Free speech, and by association a free press, quickly erode. After Greenwald's series of stories revealing the NSA's mass surveillance programs appeared in The Guardian, Greenwald's partner David Miranda, returning from Berlin where he had visited Poitras, was detained and questioned upon his arrival at London's Heathrow Airport. Officials confiscated all of his electronics equipment. Is this the world, you have to stop and ask yourself, that I want to live in? "All you have to do [to win a Pulitzer Prize]," the novelist David Baldacci has said, "is spend your life running from one awful place to another, write about every horrible thing you see. The civilized world reads about it, then forgets it, but pats you on the head for doing it and gives you a reward as appreciation for changing nothing." All of these films are about the Fourth Estate, which is to say they are about ourselves as citizens in a world we claim to want to make increasingly democratic. In the instance of Kill the Messenger, Rosewater, and Citizenfour we are complicit in the persecution of the messengers. Taking the path of least resistance, we can remain blinkered with comfortable biases and unchallenged opinions rather than face difficult truths that require complicated solutions and sacrifice. With Gone Girl and Nightcrawler we are also complicit, our lust for scandal-mongering and sensationalism overriding our own self-interest. Journalism will always be a double-edged sword. We would do well to cease to patronize the yellow press, but our appetite for it may be so much a part of our human make up that we will never overcome our craving. We would do better to seek out principled journalism, understand the vital role it serves, appreciate those willing to shoulder its risks for our sake – and undertake the transformation it challenges us to bring about.